TO THE WORLD OUTSIDE SURF & WOMEN EVERYWHERE, HERE’S THE DEAL. A NOTE FROM THE EDITOR: “The Mermaid Society is here to raise the profile of women’s surfing and surf sports. We exist to help women claim their place as equals in sport.” – Sally Mac. The image of Zoe Steyn holding her cheque worth half the value of the boy standing next to her seems to be the first time the issue of gender inequality in surfing has fallen onto the radar of the mainstream public and media, since Silvana Lima announced she couldn’t get sponsorship because she wasn’t pretty enough in 2016. These juniors standing on the podium at the Billabong Ballito Pro, South Africa, caught the attention of people online and sparked a discussion of the blatant asymmetry that exists when it comes to prize money in surfing. This, however, is just a tiny drop in an ocean of institutionalised sexism. When questioned about the issue by Triple J’s HACK program, the WSL Australasia representative explained the imbalance, despite the pay parity at the top level, in being that in World Surf League sanctioned events the prize money is allocated per surfer – there are more men so there is more prize money. This, however, represents a misunderstanding of the true issue at hand. There are more men at the elite level because the surf industry is built to favour men, in a big way. If you take a look at the World Surf League Instagram account, it will take multiple scrolls down the page to find even a single clip or image featuring women. If you look across the range of mainstream Australian surf publications, you will struggle to find a feature about women in the last few months. If you see who’s going on media trips, you will struggle to find a solid surf clip featuring women surfers in the last year. If you ever open a surf mag it’s unlikely you’ll read a story or see an advertisement about women. Surfer magazine recently published an entire issue about women and people coined it tokenism. There are 11 issues a year of that particular publication dedicated to men in surfing and people complained about there being just one dedicated to women. This is why there are fewer competitors, and this is why the World Surf League is wrong. People commented in defence of the groms in South Africa that it was to do with marketing value – more people tune into the men’s event so it is, therefore, worth more. Someone from Ripcurl once told me that the majority of sales are actually women’s products, making the women’s market actually more valuable. By this logic also, Kelly Slater should get more prize money given the ratings spike whenever he surfs a heat. Perhaps Mikey Wright should also get a bigger cheque because more Aussies are tuning in to watch him than anyone else. What this truly reflects is the social exclusion that is normalised in surfing. The Ballito Pro shamelessly posted that photo of the grommies and their unequal cheque’s because they didn’t even see it as an issue. It is so accepted that female athletes get less prize money that publicising it isn’t even concerning. People often pull up tennis as a precedent for equal prize money. Even that is actually not real. In the four majors the money is equal but in all other events, it is skewed in favour of men. Female tennis players have often commented that they are made to feel like they should be grateful for crumbs, and there are definite hints of this in surfing. In fact, across the full range of sportswomen are paid less than men, sponsored less, expected more of and given less opportunity. This is why the standard is lower, the attendance is lower, the ratings are lower and therefore the prize money. The World Surf League cannot hide behind their ‘money per surfer’ argument because it is up to them to lead the way in creating social change. They can’t complain that women don’t buy surfing if they’re not selling surfing to women. Opening the tour up to be the same size as the men would create greater opportunity for female surfers, greater exposure and therefore greater sponsorship. Increased sponsorship will lead to greater prospects for coaching and travelling and higher standards of performance among women. Rome wasn’t built in a day. That’s what they say anyway. Men’s surfing didn’t reach a different performance standard because that’s just the way men are. Each season, each generation the level increases and surfing as an industry has favoured men from the early days, meaning it is sold to men and bought by men and becomes a cycle centred on men. One of the biggest issues is the stigmatisation attached to women that speak out about these types of problems. I heard a story recently of someone in surf media who was drawn into a conversation about who a senior male member of staff would like to f**k. She has never spoken out about it, knowing doing so would jeopardise her chances of being rehired in the freelance role. Speaking out about this issue attracts a certain risk – in a sponsor dependent industry the status quo is much safer to maintain than it is to change. In an industry of freelancing and gigs, it is almost more important to be easy to work with than it is to produce quality work. The risk attached to speaking up about these things is far greater than the potential of actually creating change. This is all disheartening as a woman and when you look at the many facets that tell us that surfing belongs to men and women remain a footnote. It makes you want to give up. It makes you want to silence your voice and focus on something more meaningful. Knowing a career doesn’t exist for you in the field because no matter how good you are, you will have to be doubly as good as your male counterparts to get half as much. All anyone will really notice is whether or not you look good in a bikini. This needs to change. Big time. Two years ago, we saw the introduction of the Women’s Big Wave Tour, a small one but still a tour. We recently saw women getting pitted at Puerto Escondido and the reintroduction of financed bodyboarding events as part of the Australian Tour. I recently attended a small contest in Vanuatu that had equal prize money for men’s, women’s, longboard and junior. We have also seen many longboard events launch that have equal prize money, such as Taylor Jensen and CJ Nelson’s new alternative World Tour ‘Surf Relik’. Things are changing, women are shredding and despite the still ginormous cavern between men and women’s surfing we can see some shifts. When you open your social media accounts and see outrage at inequality, the governing body of surfing finally having to answer for themselves and a plethora of voices willing to speak out about the issue, the future looks a little brighter. 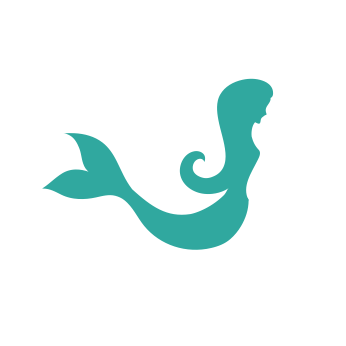 When you can watch clips on platforms, like the Mermaid Society, that showcase the female prowess in the ocean it is encouraging. Progress is not linear, it comes in ebbs and flows. When we flick across to watch Caroline Marks derail the stereotypes of both women and groms in surfing, we can trust that there is most certainly hope. I’m generally a fan of bagging the WSL when they deserve it but in this case I think they’re copping a very slightly raw deal. When the group took over the world tour in 2014, one of their first orders of business was to equalise CT prize money by numbers. This instantly doubled event prize money for women, from $120,000 to $250,000. Not only that, the WCT added four new events to the women’s CT, which had been languishing for years. In effect this tripled the prize money investment in top line women’s surfing in one stroke. The WSL has stuck to that commitment at CT level and this has led to a massive increase in the top women’s earning power, to the point where the 2016 women’s champ Tyler Wright out-earned the male champion John Florence, US$300,000 to US$297,000. Talk to any of the women CT pros and they will tell you this prize money boost has changed the sport for them — they can now easily afford a lot of the stuff top male pros have taken for granted for years, like coaches, trainers, travelling support staff etc, and it’s directly responsible for the spectacular level of competition in the women’s CT right now. It’s actually a great example of how pro-active movement in women sports prize money drives huge improvements across the sport. So yeah, bag this moment, but it’s worth bearing in mind that it’s kinda against the grain of where women’s surfing has been headed in the past few years. The change hasn’t been slow, it’s been swift, dramatic, and it’s bearing fruit. Nick Carroll, thanks for you comment. That is true, there have been a lot of positive changes and the amazing level that we are seeing in women’s surfing , particularly this year, is certainly reflective of the changes. This is clear evidence as to how investing more in women’s surfing does make a difference and the WSL definitely needs to continue to make positive changes. It is better than it was but it is still not equal – women should not be grateful for crumbs just because previously they didn’t even get let into the house. The whole industry has to be held accountable for the social exclusion that occurs in relation to women and I think it is great that the WSL is now being scrutinised in this respect. In 2016 Tyler write did make more in prize money than John Florence, but she also won five events that years compared to John’s two and this differences was a mere 1%. Well I was thinking, there’s people in the WSL who want to keep the momentum rolling in a positive direction for the women and I do suspect the embarrassment they’re being caused by this latest incident might be good ammo for the changers. Girls are the future of surfing, they need the WSL to give them room to expand into their rightful place in the sport! Oh and to all the people, mostly men, who think men should get more prize money because they surf better or draw more viewers online or whatever, you’re deluded. There’s no way of measuring the sport’s incremental value. Pro sports are just big money cyclones whirling round and round; money pours in, money pours out, and there’s not a whole lot of sense to any of it. As if any sports person is worth $100 million a year! But that’s what some are paid and more. The value here is in the potential for growth, and there’s a lot more potential for growth in women’s surfing than in men’s. It’s a much better target for expenditure. Equalising of numbers is on the way, so is full equalising of prize money.